Porsche is pushing boundaries and expectations by using augmented reality (AR) glasses to repair cars. The glasses allow technicians to handle the complex nature of the automobiles through sharing vital Porsche information. Their luxury cars have always been cutting edge in their design and mechanics, and now Porsche is introducing the same innovative use of technology to its service departments. The way that industry professionals are approaching repairs is about to get a do-over. Today’s vehicles are increasingly complicated pieces of machinery that have been referred to as “rolling computers” with advanced systems that allow for a combination of gasoline and battery power. Porsche, in particular, pride themselves with high-tech sports cars that are innovative in both design and technology. AR has slowly been gaining momentum in various industries as tools that can be maximized for efficiency. Simply put, AR uses technology to translate information, such as sounds, images or text, over the reality that one sees. This differs from virtual reality which is an entirely immersive computer-generated world. In contrast, AR adds to the reality instead of replacing it. Presented as a ‘futuristic technology’, AR is still in its infancy stages, despite being around for years. Many companies are noticing the value in its functionality and are choosing to invest. AR has begun to infiltrate everyday life through the use of mobile devices and apps. Pokémon Go is an example of AR that was translated into a mobile game whereby reality was overlaid with game-related information. The effect of Pokémon Go was a global sensation, boosting the popularity of AR among over 100 million estimated users. How is AR Technology Helping Vehicle Efficiency? Porsche is using AR glasses to assist in their repair process to make it smoother, faster and more efficient. 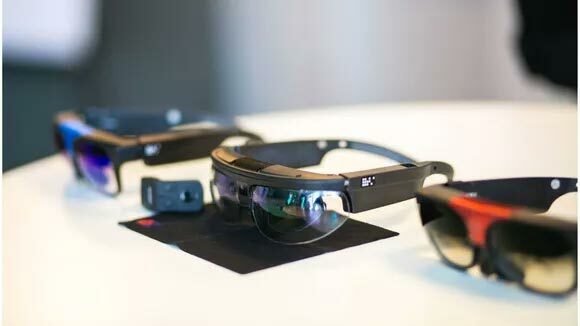 The German dealership announced that they will be providing 189 U.S dealerships with AR glasses to help mechanics amend repairs efficiently and in a cost-effective manner. This new use of technology demonstrates the cutting-edge nature of Porsche. Using the AR glasses, a service technician will be able to connect with a Porsche specialist located at headquarters in Atlanta. These specialists can then share the necessary Porsche information to effectively complete the repair job. The technician will be able to stream live video of the problem area and receive the best advice from an expert located remotely. The new feature, called Tech Look Live, connects Porsche dealerships with the dedicated technicians at headquarters who will execute the efficient repair instructions. The use of the AR glasses allows for issues to be fixed quickly, returning the cars to the customers with the least amount of disruption. San Francisco-based Osterhoust Design Group have made ODG R-7 smart glasses. Rather than blocking out the real world, the R-7s will allow the wearers to see reality, along with an overlay of other images in the periphery. Using AR glasses to improve the mechanics of these luxury cars are the perfect example of how Porsche is taking advantage of the rising technology. In addition, Porsche is hoping that these expert repairs will encourage older Porsche owners who use independent mechanics to return to Porsche dealerships to get their vehicles fixed. Despite the high price of the glasses, which are an excess of $2,000 per pair of R-7s, the future looks bright for Porsche with 75 outlets expecting to receive the specs this year. All other outlets are predicted to be onboard by the end of 2019. It is exciting to see where the future of high-tech sports cars, such as the Porsche, will be in a few years with continued inclusion of cutting edge technology.